The name is in the news again, for its attractive electronic products line up and this time for a back to back launch of new smartphones. 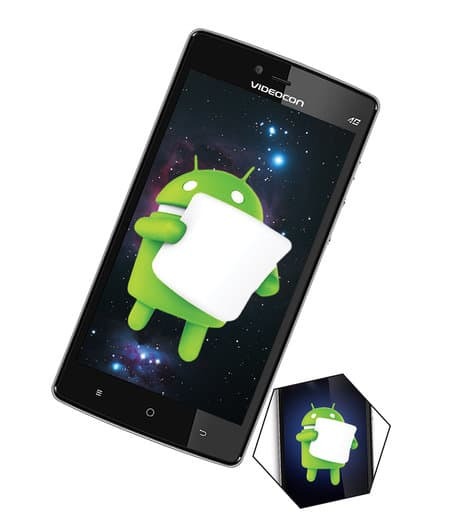 We are talking about Videocon and the company’s latest trump card Ultra30. After a successful debut of Ultra50, the company has planned to raise the peak with a version change and a couple of smart tweaks in the old design. Before your break into the nearest Videocon outlet, let us discuss some of the facts we gathered for your convenience. The best facilities of Ultra30 definitely count its 4G VoLTE support along with a whopping 4000 mAh Li-ion battery. Zooming the critic-eye to its front, the phone features a 5-inch HD IPS display with MiraVision and DragontrailX 2.5D curved glass, coupled with 720x1280 pixels. Storage wise it has faced no deviation since the last time. Mimicking the predecessor, Ultra50 the new phone boasts of a 32GB internal storage with 64GB microSD expandable option. Powered by a 64-bit 1.3GHz quad-core MediaTek processor, the gadget comes with decent performance criteria with a large-enough 3 GB RAM for a lag-less environment. Taking about its rear section, the back panel is glued to 13 MP AF camera merged with dual-LED flash, PDAF, and Gorilla Glass lens. Also, a 5 MP selfie camera with LED flash is placed in the front for low-light photography. The delivery channel’s website confirms that its camera uses the ISOCELL and the WDR feature to capture perfect photos in low light condition. The phone houses a dual SIM dock and is initially offered in a limited edition Blue Gold form. This phone runs on Android v6.0 Marshmallow and supports smart gesture support which quickly opens the applications of your choice. The Videocon Ultra30 is now available with a special price tag of Rs. 8,590 and is exclusively available in Snapdeal.